Since July 2001, David Woodhouse has been founding Executive Director of the Australian Universities Quality Agency (AUQA), which is responsible for auditing the academic quality assurance procedures of Australia's universities and state accreditation agencies. AUQA also has a responsibility for quality improvement, which it carries out through publications, workshops, and consulting. David undertakes many national and international quality assurance activities, providing advice and training on educational quality assurance to governments, agencies and institutions in a number of countries. He is an Executive editor of the journal 'Quality in Higher Education', evaluator for the Business Excellence Awards, and a reviewer for the Internationalisation Quality Review program of the OECD and European University Association. 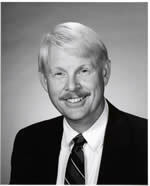 He has served two terms as President of the International Network of Quality Assurance Agencies in Higher Education. Before joining AUQA, David was founding Director of the New Zealand Universities Academic Audit Unit (1994-2001), and Deputy Director of the Hong Kong Council for Academic Accreditation (1990-1994). Before that, he was a faculty member in mathematics, computer science and education in universities in several countries, and was at various times head of a department and dean of a faculty. He has been very active in extension work in schools and teacher education. His leisure interests include multisport, drama and flying light planes. 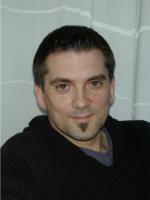 Bjørn Stensaker is a political scientist, working at the Norwegian Institute for Studies in Research and Higher Education (NIFU) in Oslo as a senior researcher. His research interests are related to studies of how the concept of quality is adapted in higher education, organisational change and studies of institutional management and management systems. He is the author and editor of a number of books and reports on evaluation and quality improvement in higher education (in Norwegian), and has conducted studies on the effects of external evaluation systems in all the Scandinavian countries. Bjørn has also published articles on this topic in a number of journals including Higher Education, Higher Education Quarterly, Higher Education Policy, Quality in Higher Education, Tertiary Education and Management and Journal of Higher Education Policy and Management. Bjørn is a member of the Executive Committee of the European Association of Institutional Research (EAIR), a Co-Editor of Tertiary Education and Management and one of the Executive Editors of Quality in Higher Education. James L. Ratcliff is president and senior researcher of Performance Associates Postsecondary Consulting in Pueblo West, Colorado, USA. Jim has served as a senior research and director of the foremost university-based higher education research center in the United States, the Center for the Study of Higher Education at Pennsylvania State University. In that capacity, he also directed a five-university research consortium, the National Center for Postsecondary Teaching, Learning and Assessment, whose mission was to conduct large-scale investigations of the effects of programs, services, pedagogy and evaluation practices on the effectiveness and efficiency of student learning. Jim is the author of over 100 articles, monographs, and book chapters pertaining to programme and curriculum development, assessment and evaluation, community college education, the history of higher education, and higher education policy. His books include: How Accreditation Influences Assessment (2001), The Handbook of Undergraduate Curriculum (1997), and Realizing the Potential: Improving Postsecondary Teaching, Learning and Assessment (1995). He is the editor of the ASHE Reader Series on Higher Education, past editor of the Journal of General Education, has served as a senior editor with The Review of Higher Education and the Community College Quarterly of Research and Practice. Prior to his 10 years of service to Penn State, Jim was professor and head of the postgraduate programme in Higher Education at Iowa State University. Jim has provided research, development, training and technical assistance to colleges, universities, government agencies and associations in over 40 countries on six continents. While Jim busies himself studying higher education, his wife Barbara is practicing administrator, serving as provost of the University of Southern Colorado. They are avid hikers and enthusiasts. 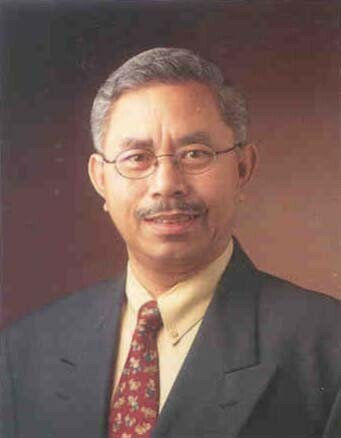 Nirwan Idrus, born in Jakarta, Indonesia is currently Executive Director of IPMI Graduate School of Business in Jakarta. He was previously Quality Assurance Specialist in an ADB Project of the Indonesian Directorate General for Higher Education. Gaining PhD from Monash University, Australia in 1980, he worked in academia, industry and government in Australia, New Zealand and Papua New Guinea. He was President of the New Zealand Organization for Quality for two years, Vice-Chairman of the Asia Pacific Environment Planning Network (APENPLAN) of the Asia Pacific Development Center and currently serves in the Editorial Board of the Managing Service Quality Journal (MCB Press, UK) as well as a referee for the International Journal of Production Research (Elsevier, UK) and is an auditor with the Australian Universities Quality Agency (AUQA).